You've just been selected to travel the world photographing wildlife. What happens next is up to YOU! Filled with excitement and hilarity, this compositional challenge lets you tell your very own story starring...YOU! 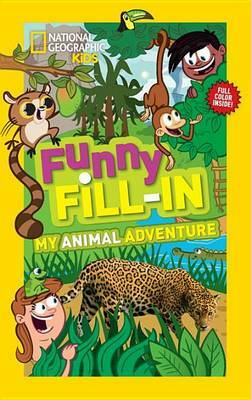 Combining photography from National Geographic Kids and illustrations in colorful laugh-out-loud pages, this engaging, entertaining, and educational book introduces you to animals from around the globe, and invites you to enter their world imaginatively by combining your story with theirs.